An fyi – Securing student housing ratio is very much about working with University staff unions, Faculty, UNA and students on issues of land use governance in forming a more democratic model. It’s a foot deep on my site but it’s because Athletics Fee ($193) and Tuition are more pressing issues as the last VP Academic has done a really good job on raising awareness on Gage South, which is work I wish to continue. 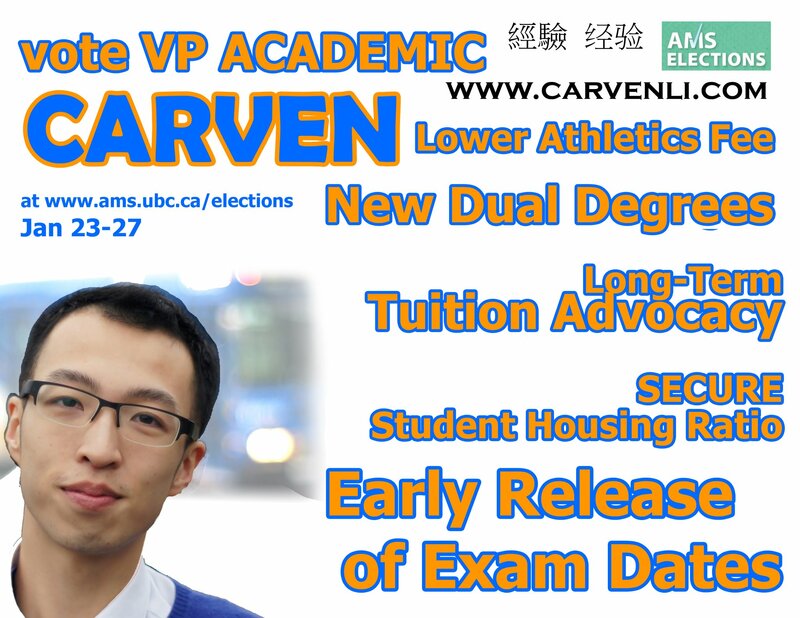 For me, it’s about talking about issues that have not been raised in all of last year.. *ahem* STUDENT CONSULTATION ON TUITION AND STUDENT FEES HOSTED BY THE AMS.